This week has been a blast, and stressful all that the same time. 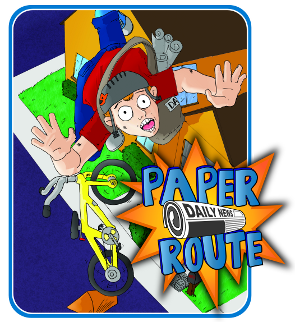 I decided last weekend that I would make the push to publish Paper Route by this Friday. This proved to be an exceptionally stressful task. First, I had a lot of writing and formatting to get done in order to be able to put the print and play files together. Then, there was the BoardGameGeek.com page, my website, and TheGameCrafter.com store page. I had to finish the rules and format the Cardboard Arcade information. And all of this, with my wife out of town! I had completely underestimated the difficulties I would have playing full-time daddy. It was not difficult because my daughters are difficult to handle… much to the contrary actually… but simply because of the amount of time I would need to dedicate to tasks like getting them ready for school, picking them up, making them dinner, seeing to their baths, getting them to bed… the list goes on. This left me with very little time in the evenings to commit to the task. I pushed on, however, and succeeded! Paper Route officially released on Friday, September 14th! I have released the print and play files on the games page here on cheveedodd.com and simultaneously made it available for purchase at thegamecrafter.com. I feel that this gives the best value for potential players because not everyone wants to print and cut out 130 cards. It can be a very daunting task! For the sake of full disclosure, there is a small mark-up on the Game Crafter store. I make about $2.60 for each game that sells. I felt like that was a fair number while keeping the price of the game to a reasonable amount. Also, with this release, is the official launch of Cardboard Arcade! Cardboard Arcade is a gaming system that revolves around Controller Decks. These decks are made up of buttons (much like a gaming controller) that can be used to play a variety of games. Currently, Paper Route is the only one, but there will be others soon! I’ll be working on the website a bunch throughout the weekend to get everything posted, so keep checking back! Also, in case you didn’t know, I have released both Paper Route and Cardboard Arcade under a Creative Commons license! This means you are free to add to it, make changes, and release your own games based on them! I hope others take an interest! 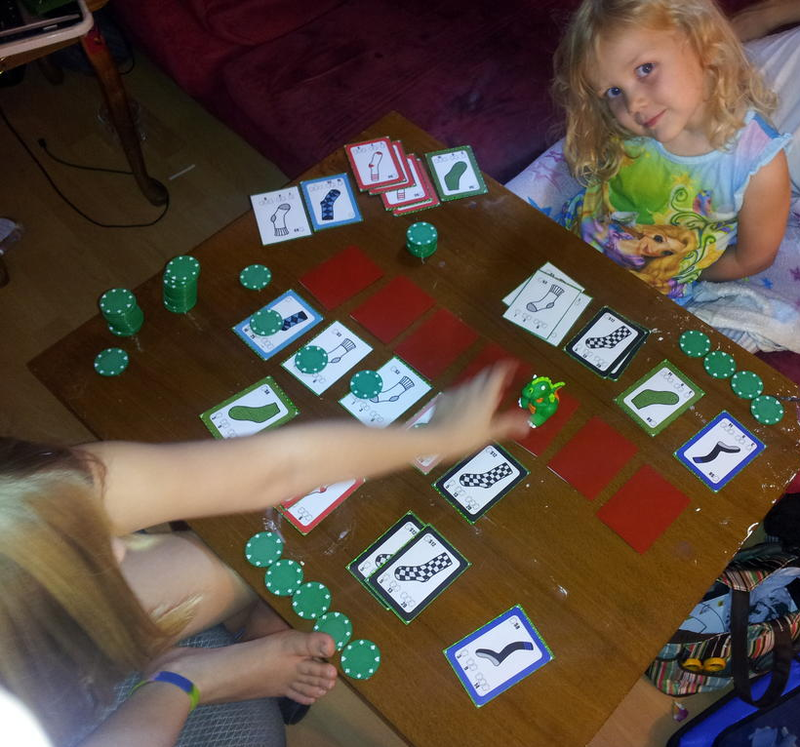 There was no playtest session this week because my wife was out of town. In light of this, I was able to get in some playtesting of Sock Monster over the weekend with my family! I really enjoy playing games with my girls and it is extra special when it is one of my own! We played Sock Monster a total of four times and my oldest keeps requesting it! I still want to make a few small changes to add some interesting decisions, but I haven’t worked on that much. This week really was dedicated to Paper Route! I’m not sure really. Back to working on more projects! I’ll have a design post for Paper Route next week and I may start discussing the next Cardboard Arcade game! Also, you should keep alert on the social media networks because there MAY just be a flurry of Scallywags giveaways running for International Talk Like a Pirate Day!